Ride to eat, Ride to ride. Fact is, I’m really hungry for some GOOD BBQ, and REALLY curvy roads on the motorcycle. With very little prompting from a buddy, the GPS routing software came out and a plan came together. 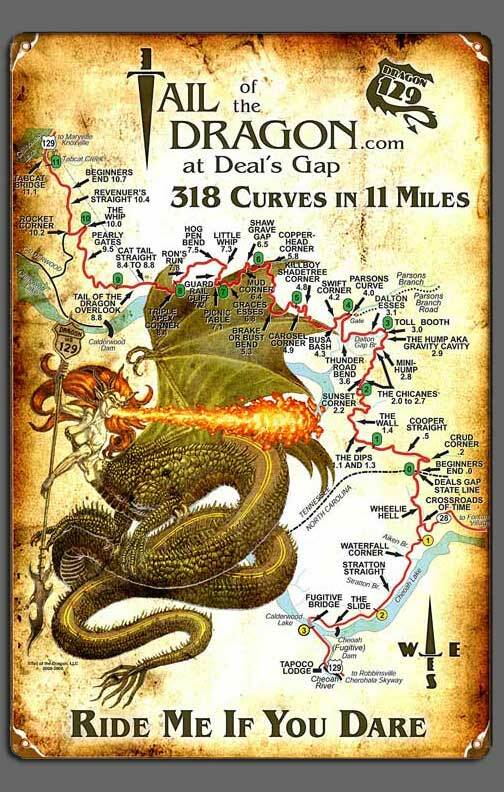 How about a quick run from our homes in Florida, up to the original Dreamland BBQ in Tuscaloosa, Alabama for lunch, then on to North Carolina via Nashville/Knoxville to ride Tail of the Dragon and Cherohala Skyway? 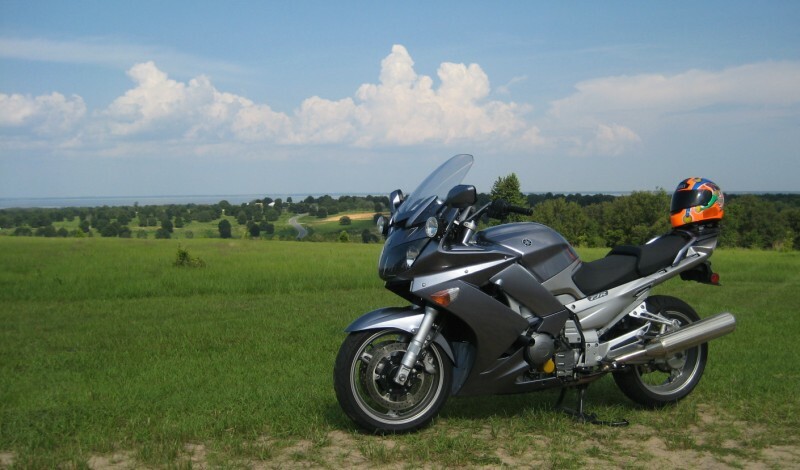 This week, I’m in final stages of organizing, prepping the FJR1300, and route planning for a motorcycle trip with my buddy Jim Sullivan for next weekend. Jim’s a running buddy, who helped me out with my first Western States 100. And we both happen to ride motorcycles. It’ll just be a short Sat/Sun weekend cruise, about 1700 miles total, to earn both IBA SaddleSore 1000 and Bun Burner 1500 certificates. That’s 1000 miles of riding in under 24 hours, and 1500 miles in under 36 hours. Will the craziness ever end Tamara asks? No, I really don’t think so Honey. My FJR is a mile munching machine, and I know Jim’s BMW is also. I just mounted a new front tire, have my GPS wired, all the fluids changed and it’s ready to go. We leave early Saturday from Orlando/Clermont, taking back roads through the Big Bend/Panhandle of Florida, then up to Tuscaloosa, Alabama. Dreamland(history) is a little hole in the wall place, a little off of I-20 where Tamara and I used to stop during our trips back and forth from Huntsville, AL to Monroe, LA. 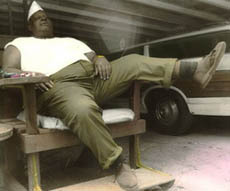 John “Big Daddy” Bishop Founder of Dreamland in 1958. This was before they had franchised locations all over the Southeast, it was the one and only Dreamland. Never took long to figure out what you would order, as the menu consisted of Ribs and Whitebread(Sunbeam I believe, in the plastic wrapper). That’s it. When your order came, you had a rack of ribs, a complete loaf of Sunbeam bread, a roll of paper towels, and a Coke or Beer. Messy, fattening, always packed, but great food, great atmosphere, great people. After the stop at Dreamland, we’re back on the bikes for the next 500 plus miles, taking a long zig-zag route to Knoxville, TN. Birmingham, Chattanooga, Nashville, Knoxville. WHEW! Talk about a roller coaster! This is going to be QUITE different than the straight Florida roads I’m normally riding. I used to travel/camp all over this area on my KZ1000 long ago, can’t wait to get up there and ride again. After that, it’s down through Atlanta, and interstate highway all the way back home. If all goes as planned, we’ll be back home well before dark on Sunday, with 1700 miles and 5 states under our tires. Hurry up, weekend! I’m ready to go! This entry was posted on Tuesday, June 23rd, 2009 at 1:15 pm	and is filed under Motorcycles. You can follow any responses to this entry through the RSS 2.0 feed. Both comments and pings are currently closed.